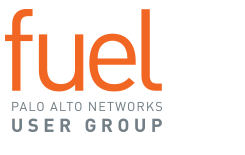 Spark New York featured opportunities to network with fellow Palo Alto Networks users in the Greater New York area and hear the latest updates and threat research from Palo Alto Networks. At Spark New York, there were sessions to enhance your skills, including hands-on workshops and collaborative sessions so you will be able to take home actionable solutions and strategies for key security issues. *The $50 Amazon Gift card is limited to two individuals. Must be present to win. Prize cannot be exchanged or redeemed for cash value. Would like to resolve your incident alerts quicker and more definitively, including multi-data center environments. Would like to stay in your PAN Panorama workflow and have immediate access to packets that correlate to alerts. Are overwhelmed by the sheer volume of alarms to investigate them all thoroughly. Would like to solve your hardest security breaches in a third of the time. Are concerned that you don't have the forensic evidence to report to your management exactly what damage was done. In this session, we will examine some real-world breach examples and learn about the intricacies of today’s threats. In this session, we will review how to quickly identify these potential dragons (current or future) and review how others have slain them to accelerate their migration to the cloud, break down traditional silos, integrated workflows (DevSecOps), and democratized security and compliance insights across the organization. We know securing your network needs to be simpler and more streamlined. So we’re innovating new ways for automation and analytics to save you time and improve your security. AI is everywhere; cybersecurity is no exception. Be the first to find out how our new machine learning-powered products are fundamentally changing the equation. Join us for the live broadcast of the Palo Alto Networks digital event, to be followed by Q&A with experts from Palo Alto Networks. Hear Simon Conant, Unit 42's Senior Threat Intelligence Analyst, discuss the current threat landscape. Simon will highlight several campaigns and review advances in malware, ransomware, and cyber threats, that adversaries are using to breach modern enterprise networks.